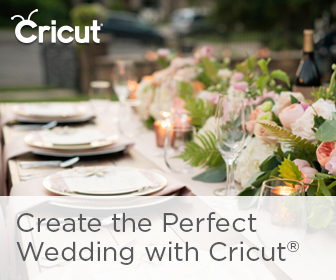 One of the trends I am loving the most these days is the influence of industrial design on wedding decor! 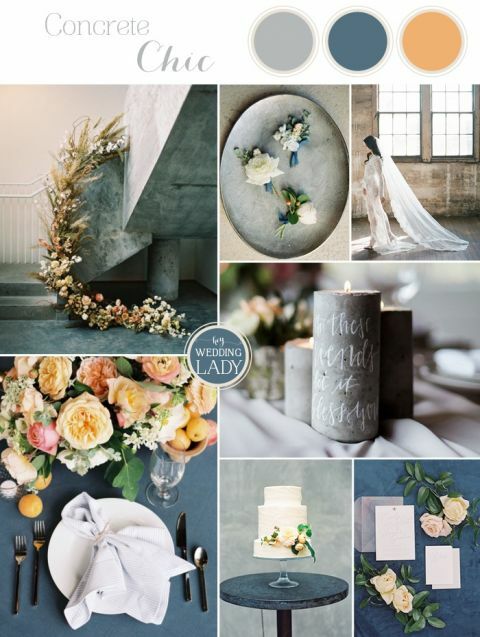 I loved creating this palette of concrete, slate blue, and goldenrod to blend the rough textures and harsh angles of industrial settings with the soft romance of abundant flowers! 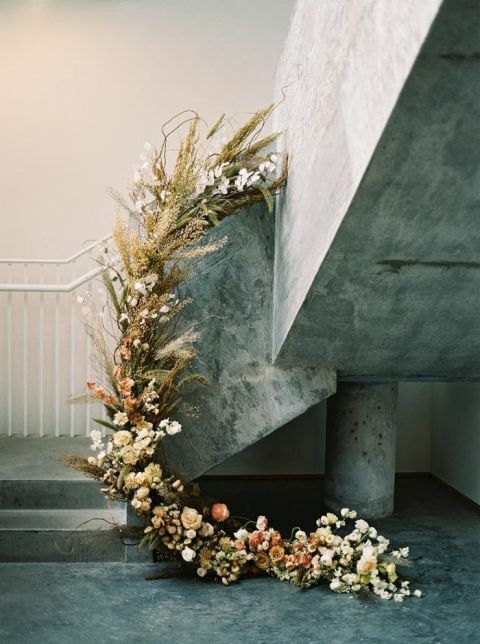 The key to this event design is the contrast of mellow, harmonious colors and soft flowers against an industrial backdrop. 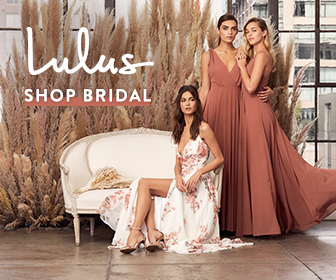 I love the juxtaposition of organic floral backdrops against a warehouse wall, or the bride’s vintage lace robe in an unfinished loft setting. 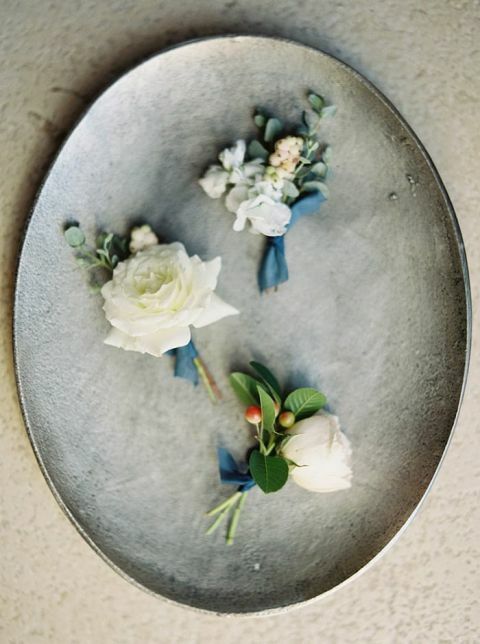 Pairing such timeless wedding details with a relatively harsh environment creates an eye catching combination that offers so many textures to the eye!